It all starts at daybreak as three young surfers take to the seas. A few hours later, on the way home, a terrible accident occurs and 17 year old Simon (Gabin Verdet) is left hooked up to life-support machines in a hospital in Le Havre. Meanwhile, in Paris, a woman awaits the organ transplant that will give her a new lease on life. Even the most basic awareness of Heal The Living’s story (adapted from the novel by Maylis De Kerangal) makes the initial scenes of Katell Quillévéré’s film impossible to watch without a growing sense of dread. Danger is everywhere - on land and sea - reminding us of both the unbearable fragility and (thanks to Tom Harari’s striking cinematography) wondrous beauty of our existence. The grief felt by Simon’s parents (superbly portrayed by Emmanuelle Seigner and Kool Shen) is deeply moving. His sudden death at such a young age is terrifying and upsetting. However, Quillévéré does not dwell on their pain. Her focus is on the fascinating and, ultimately, uplifting area of organ donation. As a result, the movie’s second act explores the life of Claire Méjean (a beautiful performance from Anne Dorval), a woman whose life will end unless she finds a new heart. Using three intertwining stories (Simon and his parents, Claire and her sons and the challenges faced by organ transplant doctors), Heal The Living asks the most basic and also most complicated of questions - where does life end? However, at no point does Heal The Living buckle under the weight of its deeper, metaphysical meaning. We care about Simon, Claire and all the film's characters. We become deeply invested in their gripping stories. Heal The Living is a thought provoking and inspiring movie. The themes that the movie raises linger, ultimately making you appreciate what really matters in life. Maylis De Kerangal’s novel, Mend The Living, won the 2017 Wellcome science book prize - only the second novel to win the award. 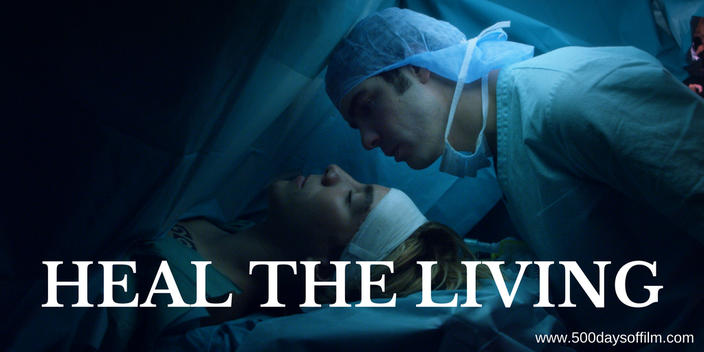 Have you seen Heal The Living?